A Shropshire stately home which operates as a nationally acclaimed wedding and private hire venue is hosting Christmas supper clubs from the beginning of December. Iscoyd Park, near Whitchurch, has a fully staffed in-house catering team which operates under head chef David Cox, who has trained in some of the country’s best-known Michelin-starred restaurants. David and his team will be providing guests top-level food in the newly restored Coach House at Iscoyd Park on selected dates in December. 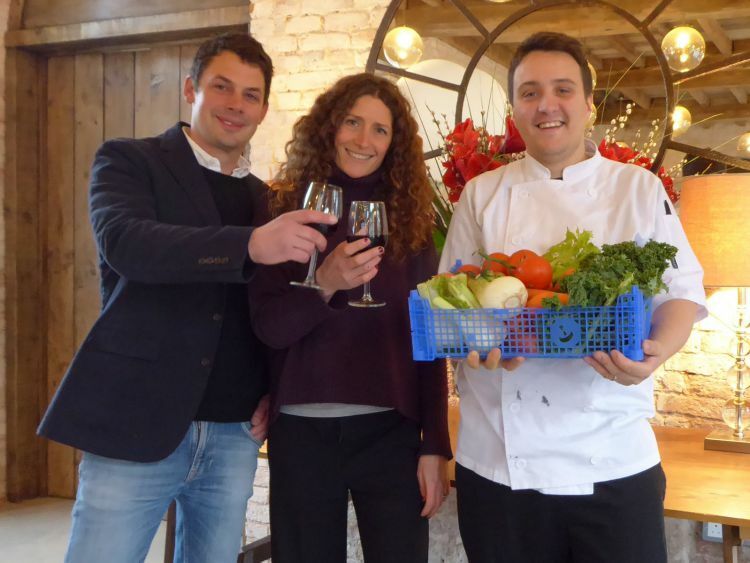 The Christmas supper clubs are the brainchild of Phil and Susie Godsal who run Iscoyd Park. Mr and Mrs Godsal said they are excited about building Iscoyd’s reputation as an events venue into “a destination for great food”. “We brought the catering in-house at the start of this year after new kitchens in a former dairy and have now built up a really excellent team in the kitchen lead by our young and exciting head chef David Cox,” said Mr Godsal. Mrs Godsal said the Christmas supper clubs are a way of introducing the skills of Iscoyd’s cooking team to a food-loving audience in the area. Until now Iscoyd has only been accessible to those who are holding events, or guests at an event. “We are really excited that Iscoyd is now accessible to people who may not have been here before, and the supper club also offers a way for those who have been here as either clients or guests to return,” said Mr Godsal. He added that the Christmas Supper Club will be three courses from a small but carefully chosen menu and will cost £38 a head without wine. Supper clubs are suitable for either a romantic evening for two or a Christmas party. “Spaces for the Christmas supper club have been selling well since we launched the idea but there are still some tickets left,” he said. The Iscoyd Park supper clubs are taking place on December 1, December 7 and December 15. For further information contact 01948 780785.